This variety was first identified after a contest was held in the late 1990s to discover a new unlisted overdate on a United States coin. 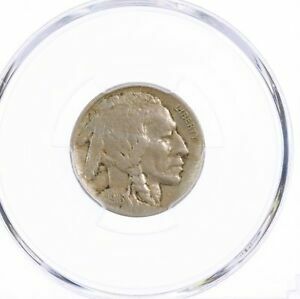 A 1914 Buffalo nickel was uncovered with what appeared to be the underlying 3 beneath the 4. Several more 1914/3 Buffalo nickels were identified. This variety was first listed in Cherry Picker’s by J.T. Stanton and Bill Fivaz. In 1999, John Wexler, Ron Pope, and I listed several of these 1914/3 overdates in our book, Treasure Hunting Buffalo Nickels. 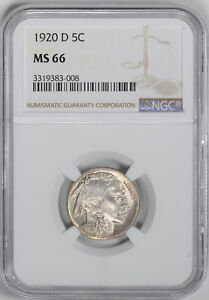 In our book The Authoritative Reference to Buffalo Nickels published in 2007, we delisted two of these varieties as not being overdates, and listed two additional varieties as overdates for a total of 5 authenticated 1914/3 Buffalo nickel overdates. The basic premise believing these were overdates was what appeared to be extra metal in the general shape and size of the top of a 3 at the top of 4. In addition, there were many die scratches across the top of the 4, which was believed to be the result of the Engraver removing remnants of errant 3. Recently, John Wexler questioned whether these varieties were legitimate overdates and concluded they were not. This led to me reevaluating my conclusions on this variety using a much deeper analysis than was previously done. This included questions as to why and how this could have happened. Before beginning the analysis, some basic principals of an overdates. Before 1909, the date was punched into each working die as the final stage of it’s production using a mallet and punch with the digits on the date on it. Starting in 1909, the date was either part of the galvano or engraved into the master die. Sometimes, the galvano was contain the first few digits of the date, then the final one or two digits would be engraved into the master die, in this way a master hub with a partial date could be used for several years. An overdate before 1909 would occur when the Engraver punched one date into the working die, then use a date punch with a different date and punch into the same working die. Therefore, the working die would show remnants of two different dates. 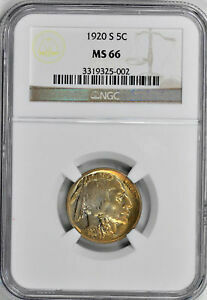 Sometimes this would be done purposefully, especially in the early years, such as with the Bust coinage, when die steel was expensive and the Mint was very conscious of all costs. If a working die struck with the date of one year was unused or only slightly used, it may have been simply struck with the following year. As another example, unused 1846 dated working dies for the Liberty Seated half dimes and dimes were returned from the branch Mints and used in 1848 and 1849. Sometimes the Engraver might attempt to efface the digit, which would require abrading down the area around the incused digit, which might leave a hole if they focused on one spot. It would make more sense to abrade down the entire face of the working die, especially given that the digits of the date are shallower than the other design elements. The majority of times, not effort was made to remove the underlying digits. Remember also that working dies in the 19th and early 20th century for the following year were normally created starting in October of the current year. This is especially true for those required by the branch mints. It was possible that the Engraver might pick up the current year date punch, strike the working die, then remember they were intending to strike coins for the following year. There are many scenarios where overdates can be created before 1909. Starting in 1909, the date was part of the galvano or engraved into the master die for most series. The primary way that an overdate could be created is if a working die was hubbed from two different dated working hubs. Up through the late 1990s, a working die required multiple hubbings from a working hub in order to get a deep impression of the design elements into the working die. The working die was hubbed in the hubbing press, removed, annealed, and placed back into the hubbing press and hubbed again. Larger denominations usually required multiple hubbings to get a good impression of the design elements. If on the first hubbing, a working hub of one date was placed into the hubbing press, and on a subsequent hubbing, a working hub with a different date was used in the hubbing press. This scenario is more likely near the end of the year when the Mint was creating working dies for the current year and also for the following year. As seen below, other obvious examples include the 1918/7-D Buffalo nickel and 1942/1 Mercury dime. Notice the strength of the strike of the underlying digits from the first hubbing. If not enough pressure is used in the hubbing press, only the central design elements of the working hub will be incused into the working die. This happened more in the 19th century because a screw press was used up until 1893 to hub dies. After 1893, a hydraulic press was used. To prepare a working die to be hubbed, a die blank was prepared and annealed to reduce its resistance to pressure. The die blank had a neck the same diameter as that of the working hub. The die blank also had a cone-shaped top to allow metal to disperse properly and fill the die cavity of the master die without disturbing the surface below the periphery point. This also allowed additional metal to form up greater detail on the first hubbing. The working hub die was put in the upper portion of a large screw press and brought down with great force onto the die blank. As pressure was applied to the die blank, the steel within was hardened from the pressure and became brittle. This was caused by the compression of the molecules of steel. The photo below shows working dies with a coned-shaped top. If not enough pressure was used in the hubbing press, only the central design elements would have been incused into the working die. This is because of the cone shaped top of the die blank. The center of the cone is pressed by the center of the working hub first and thus the central design elements are incused first into the working die. If upon subsequent hubbings, the images are lined up correctly, no doubling will occur, but only weak design elements about the rim. If there is a misalignment, then a secondary image of the design elements will only occur in the center of the working die because the design elements around the rim have only received one impression. In the Indian cent series, there are approximately 15 doubled die obverses between 1864 and 1886, and only one of these shows doubling on design elements around the rim. The common diagnostic for this occurrence is a weak strike of the design elements around the rim, with stronger design elements near the center. Below on the left is the 1916 Buffalo nickel doubled die obverse. The degree of doubling is consistent in strength across the date, but only the top of the secondary 1 is seen and about 80 percent of the secondary 6 is seen. No doubling is seen on the initial ‘F’, or the bottom parts of the ribbon ties. This is due to the a partial image on the first hubbing, and after the working die was pivoted (Class V doubling), in the second hubbing, only those design elements incused from the first hubbing are visible as doubling. 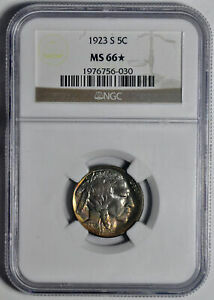 The photo on the left shows the 1942/1-D Mercury dime. 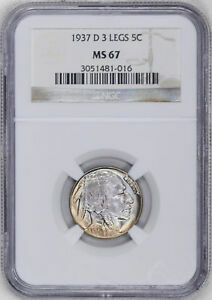 Compare the strength of the 1 to that of the 1942/1 Mercury dime seen on the previous page. Again, this is the result of a partial hubbing in the first hubbing, with the outmost design elements being none existent, or weakly struck. While researching for these two Buffalo nickel books, the authors studied and photographed these 1914/3 Buffalo nickels extensively. It was initially believed that these 1914/3 overdates were the result of a working hub containing the remnants of the 3, primarily because there were several of these varieties believed to have been identified, and that they had consistent appearance. A working hub has the design elements, including the date raised, whereas the working die has the remnants incused. Several different scenarios were contemplated for a 1914/3 Buffalo nickel working hub. First, the 3 on a 1913 dated working hub was abraded off, then used to create a new master die in the hubbing press. Obviously this scenario is not logical based upon the number of subsequent working hubs and working dies that would be created with the remnants of the 3 under the 3. This would also not be in accordance with the normal procedure of hubbing a new master die from the master hub, which is the closest thing to a perfect model from the galvano. In addition, there is no consistent signs of abrasion, which might point to actions taken on a working hub. Second, if a working hub is first hubbed from a 1913 dated master die, then subsequently hubbed from a 1914 dated master die. The resulting working hub will show remnants of both dates. The dates of a 1913 and a 1914 Buffalo nickels were photographed and scanned at the same size. As seen below, if the 191 of the 1913 date punch is aligned with the 191 of the 1914 date punch, then the 3 would be to far left as compared to the 1914/3 Buffalo nickels. 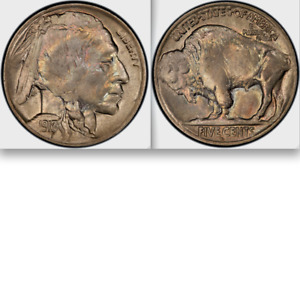 As seen below, ,if the 3 is aligned to where what is believed to be the 3 on the 1914/3 Buffalo nickel overdate DDO-001 and DDO-002, then the 191 would be clearly doubled to the right. 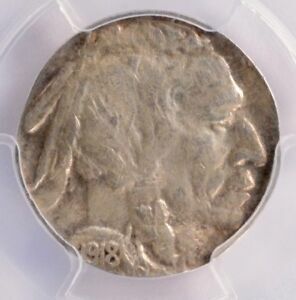 On each of these alleged 1914/3 Buffalo nickel overdates, there is no doubling seen on the 191 digits. One of the underlying beliefs on this die variety is that the horizontal die scratches through and above the top of the 4 and diagonal die scratches in front of the diagonal bar of the 4 are evidence that the Engraver was attempting to remove something, then taking a leap of faith to the belief that they were attempting to remove the underlying remnants of a 3. As seen above, the vertical bar of the 3 is in front of the 4 and top right corner is to the right of the top of the 4. But the bottom right of the 3 is clearly to the lower right of the 4 and bottom left of the 3 is clearly to the left of the bottom of the 4. There are no remnants of any part of 3 in this locations, nor is there any evidence of any attempt to abrade or remove any part of the bottom of a 3. In addition, the existence of die scratches around the top of the 4 was used as an identifying die marker for a variety being classified as an overdate, even though there was no clear crossbar of the 3 to the left or corner of a 3 to the right of the top of the 4. 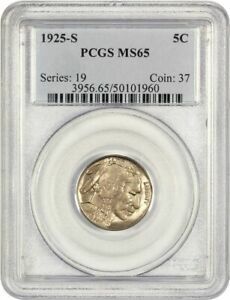 There are two 1914/3 Buffalo nickels that have these general characteristics of a underlying 3, but others that were mistakenly classified with them because of the die scratches around the top of the 4. If hypothetically, in between the hubbings of the working hub, the Engraver saw the 1913 date, when then intended to hub a 1914 dated working hub, they might have chosen to attempt to abrade the raised 3 from the working hub die, or perhaps all four digits. Another possibility is if there was an extra unused 1913 dated working hub, which the Engraver wanted to use for 1914. If the Engraver just abraded the 3 off the working die, remnants of the ‘191’ from the 1913 would clearly be doubled as seen above. The Engraver would have to abrade the raised 1913 down to the level of the field, then on the rehubbing with a 1914 dated master die, there might be slight remnants of the underlying 3 than was not removed. At first glance, this is the most plausible theory, but there are many reason it is not logical. If by mistake or wanting to reuse a unused working hub, the amount of effort to abrade down the raised digits does not seem reasonable for the amount of effort and time to complete this task, and is not something we see evidence of through the history of the Mint. The Engraver was clearly using the abrasive on the working die, not the working hub. The die scratches are unique in size, shape, and location on each of these die varieties. There is no evidence that the Engraver removed or otherwise retouched the working hub. The fact that the Engraver was abrading the working die further supports that these are not the remnants of a 3. If the 3 was hubbed into the working die, there should be evidence of the Engraver attempting to remove the bottom of the 3, which would have been clearly seen to the right and left of the lower parts of the 4. Another question about the die scratches is why are there die scratches above the 4? As it is believed that the remnants of the 3 start at the top of the 4, it is not logical that the Engraver would abrade in area that did not have metal they wanted to remove. This would imply that the Engraver was abrading the surface of the field above the incused digit of the 4 on the working die. The die scratches above the 4 creates a higher probability that the Engraver was removing something else on the working dies that was above and near the top of the 4. In addition, there are almost no die scratches on the back side of the upper 4, where the alleged top right side of the 3 would be. If the Engraver’s purpose was to remove the remnants of the 3, why would they not want to remove the most prominent part of the 3? Considering the possibility that these are the result of a problem with hubbing the working die. What if hypothetically, a set of 1913 working dies were partially hubbed, with only the top of the 3, which is the closest to the center showing. Then it was decided to use these for 1914 and they were hubbed with a 1914 dated working hub. The same arguments and evidence refuting a 1914/3 working hub also apply to the 1914/3 working die. Of course, irrelevant of how they theoretically came to be, the strongest evidence that this is not an overdate is the remnants themselves. 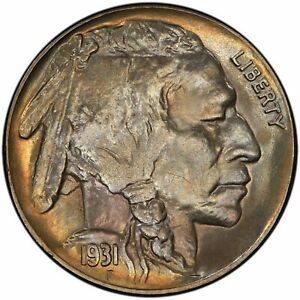 If this is the remnants of a 3, then the size, shape, contour must be the same as the 3 that is used on the 1913 Buffalo nickel. There are three different perspectives that will be analyzed. 1. Comparing the general size and shape of the underlying metal versus an actual 3. 2. A detailed micro analysis of underlying metal. 3. Comparison of the two primary varieties to see if there is a consistent size and shape of the underlying metal. 1. Comparing the general size and shape of the underlying metal of 1914/3 Buffalo nickel DDO-002 to an actual 3 from a 1913 Buffalo nickel. DDO-002 is used for this comparison is it is the closest in size and shape to a 3. The front of the cross bar on a 3 is squared. The front of the extra metal is diagonal. The general length of the cross bar is approximately the general length of the extra metal. The bottom of the cross bar of the 3 is straight. There is no definitive lower side of the extra metal. As there is no definitive bottom of the extra metal, the height of the cross bar cannot be compared. The top right side of the 3 extends outward, then angles downward to the right at about a 230 degrees, curves back inward, then angles downward to the left at about 315 degrees toward the center. The right top side is not squared. The top right of the metal extends outward, then angles downward to the right at about a 210 degrees, curves slightly at the right, then angles downward at about 280 degrees, then angles inwards at about 40 degrees. Note: For the extra metal, it is difficult to take an exact measurement on an edge, as there is no defined edge. In addition, 1914/3 DDO-001 had less defined edges to verify against. 2. A detailed micro analysis of underlying metal. Below on the left is the top of the 4 on the 1914/3 Buffalo nickel DDO-001, on the right is the DDO-002. 2a. On the 1914/3 DDO-001, the left cross bar appears to be only a die scratch extending to the left of the top of the 4. There is no defined shape of the top, left side, or bottom of a crossbar. On the right of the top of the 4, the metal is in the general shape of a semicircle, it curves immediately downward from the top of the 4, then a slightly jagged edge, then curves more, then angles inward back to the 4. There is no defined distinct shape of the top right side that matched the outline of the 3. 2b. 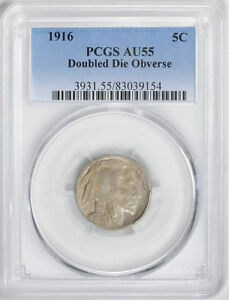 On the 1914/3 DDO-002, the left side of the top of the 4 is completely covered by diagonal die scratches. There does appear to be raised metal extending form the top left of the 4, but this could be the result of a horizontal die scratch. The left side of the metal appears to the result of a diagonal die scratch, that is outlined to the left by horizontal die scratches. Do discernible edges are detected of a cross bar are detected. On the right side of the top of the 4, the primary problem is that there is no defined edge or outline. The metal appears in layers. For example, on the lower side, the bottom or formed by a series of dots, above that, the metal is more raised, but without a definitive edge. The right side is jagged and broken in shape. Although from a general perspective, this extra metal might have the general appearance of the top right of a 3, a closer inspection shows that the outline does not match that of the top of the 3. 3. Comparison of the two primary varieties to see if there is a consistent size and shape of the underlying metal. If the primary theory is that there was a working hub that had the remnants of a 3 underneath the 4, than all subsequent working dies struck from this working hub should contain the remnants of the 3, until the extra metal was removed from the working hub or working hub retired. In comparing 1914/3 DDO-001 and DDO-002, DDO-001 show no outline or evidence of a cross bar to the left of the 3. DDO-002 shows what appears to be the general top, but the left edge is not squared and no bottom edge is seen.The right side of DDO-001 and DDO-002 are completely different, there shape, size, length, are all completely different. There is absolutely no evidence that these are the result of being struck with the same working hub with the remnants of a 3. 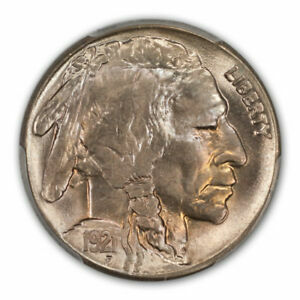 In 1996, a 1914 Buffalo nickel was identified as an overdate. In 1999, John, Wexler, Ron Pope, and I wrote Treasure Hunting Buffalo Nickels, where we identified five 1914/3 Buffalo nickel overdates. At the time, we believed these were overdates based upon the general evidence. In 2007, John, Ron, and I wrote The Authoritative Reference on Buffalo Nickels, where we delisted two of the 1914/3 Buffalo nickel overdates, and listed two additional of these as overdates. Recently John Wexler studied these and came to the opinion that none of these were overdates. This sparked several discussions on the validity of this variety. The objective of this analysis is to do a complete study of all theories, evidence, facts, and determine whether this is a true overdate. 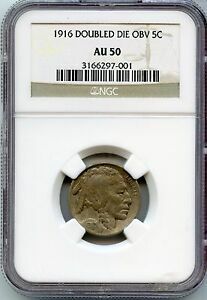 One of the original theories was that there was a Buffalo nickel obverse working hub that contained the remnants of a 3 below the top of the 4. There is no evidence that in 1913 or 1914, a working hub for a Buffalo nickel was hubbed from both a 1913 dated master die, then subsequently from a 1914 dated master die. These is no evidence that an Engraver removed part of the date or anything else from the working hub. In addition, this cannot be the remnant of a 1914/3 working hub as on each of these varieties, the metal around the top of the 4 is a different size and shape. 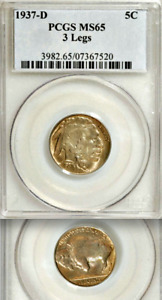 If a working hub was hubbed with a 1913 dated master die and a 1914 dated master die, if you position the 1913 date to the point where the extra metal extends to the right of the top of the 4 on one of the 1914/3 Buffalo nickel varieties, then the 191 should show signs of doubling to the right. No doubling is seen on any of the digits. It was also theorized that working dies were partially hubbed with a 1913 dated hub, resulting in only part of the 3 on each of the working dies, then rehubbed with a 1914 dated working hub. 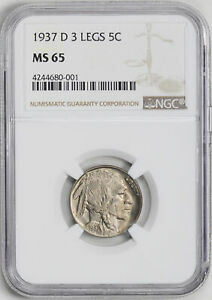 Irrelevant on what theory is used on how they were created, it cannot be classified as an overdate as the extra metal around the 4 is not in the shape and size of a 3 from a 1913 Buffalo nickel. 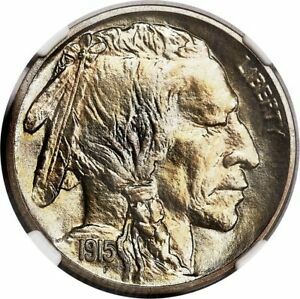 For several of these alleged 1914/3 Buffalo nickel overdates, there are horizontal die scratches through and above the top of the 4. For some of these varieties, there are diagonal die scratches in front of the diagonal bar of the 4. Die scratches imply that the Engraver was attempting to fix or remove something from the face of the working die. IT DOES NOT IMPLY that they were removing a underlying digit. There are no die scratches or signs of any abrading at the bottom of both side of the 4, where the left and right sides of the 3 should be. There are few to no die scratches behind the top of the 4, where the alleged top right corner of the 3 is. The die scratches on these varieties are the result of the Engraver polishing the working dies in the area near the top of the 4. Each die variety has a die scratches that are different in size, shape, length, and number. The die scratches are raised, which means they were made on the working die, not working hub. In addition, there would have been no reason to abrade the field in the area above the 4. Most importantly, the shape of the metal to the right and left of the top of the 4 does not match the shape and size of the cross bar of the 3, or top right corner of the 3. The edges of the extra metal is not defined, nor is it consistent between each of these varieties. Therefore, based upon all of the above, this variety must be delisted as an overdate. It should be noted that other experts in the field still believe at that at least one of the 1914/3 Buffalo nickels is an overdate, primarily the variety listed here as DDO-002. In contacting others, many were on the fence, some absolutely believed it was, others did not believe it was. It is believed that currently PCGS will only certify DDO-002 as an overdate, whereas it is believed that NGC currently will not certify any of these as an overdate. 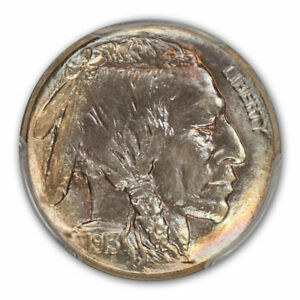 Next are the five 1914/3 Buffalo nickel die varieties that were listed in the book as overdates. 1914/3 DDO-004 and DDO-005 were previously delisted as not overdates. Small triangular shaped metal to the top right of the 4. Small curving line from right side of cross bar of 4 down to horizontal bar of 4. Horizontal die scratches across the top and above the 4. Strike doubling seen on date to left of digits. There is no cross bar to the left of the top of the 4. The metal to the right of the top of the 4 does not have a defined outline, nor is it in the shape, size, or contour of the right side of the 3. The curving metal below the diagonal bar of the 4 is to far to the left and should be at the same distance to the right as the metal on the top if it is the remnant of a 3. Without clear remnants of a 3 that match the shape, size, and contour of a 3, this cannot be classified as an overdate. Small raised horizontal line to the left of the top of the 4. Small triangular shaped metal to the top right of the 4. Horizontal die scratches across the top and above the 4. Diagonal die scratches seen in front of the 4. There is no outline to a cross bar to the left of the top of the 4. The metal to the right of the top of the 4 does not have a defined outline, nor is it in the shape, size, or contour of the right side of the 3. The bottom of the extra metal to the right is a sequence of dots, there are different heights of metal. Without clear remnants of a 3 that match the shape, size, and contour of a 3, this cannot be classified as an overdate. Long triangular shaped metal to the right of the 4. Horizontal Die scratches across the top and above the 4. Diagonal die scratches seen in front of the 4. The triangle shaped metal on the back top of the 4 extends from the top of the 4 down to the crossbar of the 4, this is much larger than the top right side of the 3 and is clearly not on the shape or contour of the 3. There is vertical die scratching above the top of the 4 and diagonal die scratching in front of the 4. It is a leap-of-faith argument to correlate die scratches to the belief that this is an indication that the Engraver was attempting to remove an underlying 3. Without clear remnants of a 3 that match the shape, size, and contour of a 3, this cannot be classified as an overdate. Small die chip on the back top right of the 4. Small raised metal outside the die chip. Diagonal die scratches seen in front of the 4. The small triangle shaped die chip on the back top of the 4 is at roughly the same depth of strike as the height of the 4. The shape and size of this metal does not match or come close to the shape and size of the top right of the 3. There are diagonal die scratches to the left of the diagonal bar of the 4, but this does not imply that the Engraver was removing remnants of a 3. Without clear remnants of a 3 that match the shape, size, and contour of a 3, this cannot be classified as an overdate. Small die chip on the back top right of the 4. No die scratches around 4. There is a very small triangle shaped die chip on the back top of the 4 is at roughly the same depth of strike as the height of the 4. The shape and size of this metal does not match or come close to the shape and size of the top right of the 3. No die scratches are seen. Without clear remnants of a 3 that match the shape, size, and contour of a 3, this cannot be classified as an overdate.